Chris co-founded InstaMed in 2004 where he has led the vision and successful execution of building one platform for all forms of payment in healthcare. At InstaMed, Chris is responsible for all aspects of the product strategy, product delivery and technology. He combines expertise in financial technology, healthcare information technology and customer-centric design to drive the growth of the InstaMed Network which connects providers, payers and consumers and processes tens of billions of dollars in healthcare payments annually. Chris is a named inventor of multiple patents held by InstaMed. Before founding InstaMed, Chris was an executive in Accenture’s Health and Life Sciences practice. 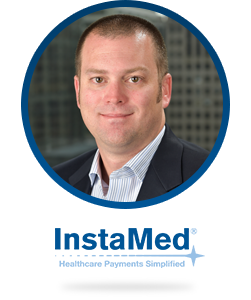 Chris focused on architecting and delivering portal and connectivity solutions at clients such as UnitedHealth Group and WellPoint Health Networks and many regional health plans. Chris has managed large teams of people in multi-project initiatives, such as eCommerce development, software application development and operations. Chris was involved in strategic development efforts regarding government health initiatives, consumer-directed health plans and direct connectivity between providers and payers. Additionally, Chris serves on multiple corporate, industry, educational and non-profit boards.